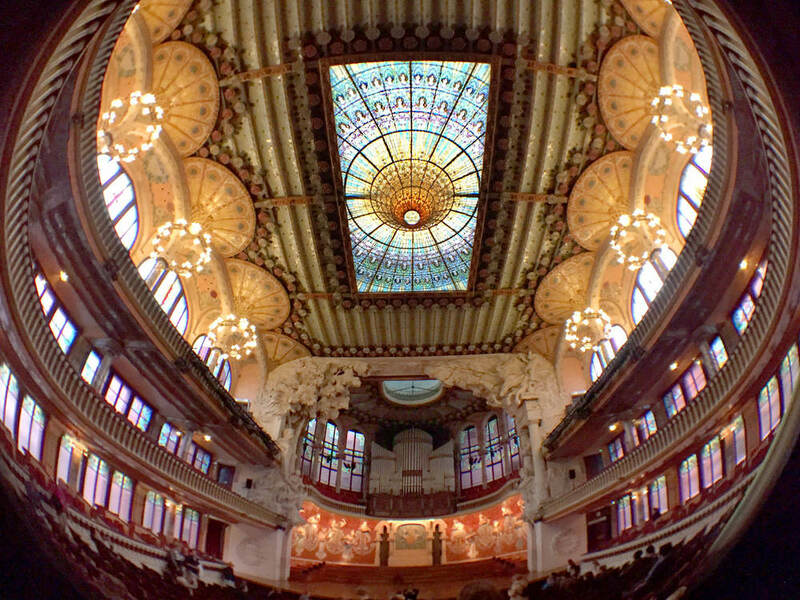 On our first day we did a tour of Palau de la Música Catalana soon after we landed. We went during the day to see the light flood in through the incredible stained glass ceiling in the most beautiful theater you'll ever step foot in! Though not by Gaudi, it was a taste of the unique architecture we would see in Barcelona. 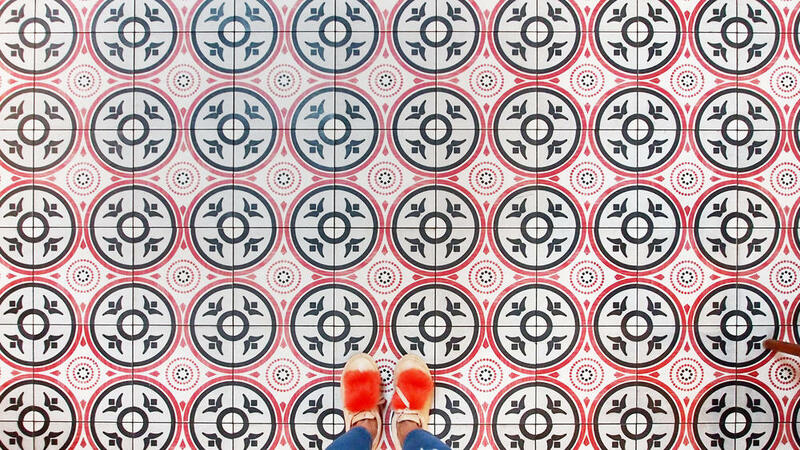 I was especially happy to see mosaics and colorful tiles all throughout the city. The food was just as vibrant as the surroundings. 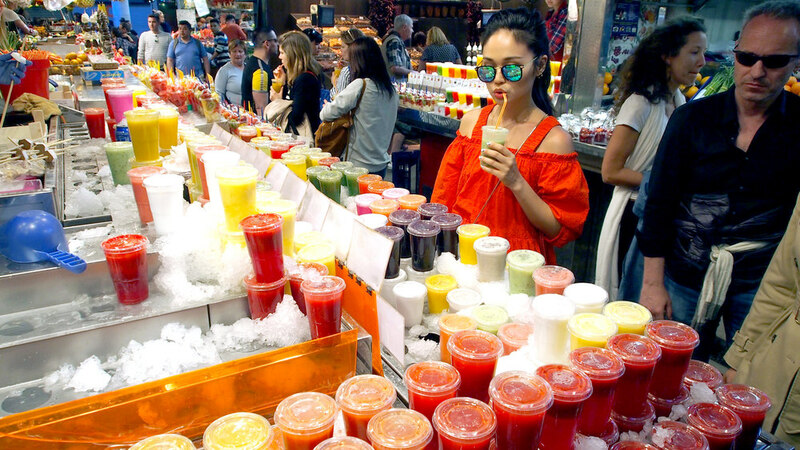 Mercat de la Boqueria is a must - there are many repeating stands, one of them being fresh juices displayed on ice with pretty and enticing colors. I tried as many flavors as I could, one of my favorites being 'Mint Coconut' - yum!! 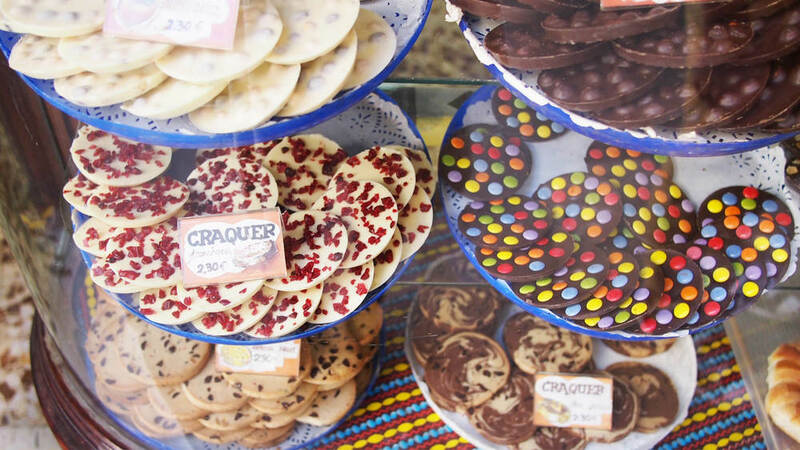 A restaurant you must try is Tapas 24 - sadly we never made it to lunch or dinner. So on one of our last days we tried to go early to beat the crowds and ended up trying their breakfast menu. It was one of the most memorable meals I've ever had! The fried calamari baguette - please order this and thank me later. Packing wise, the weather is pretty much spot on to New York so I brought layers for early May. We had a range of chilly to very warm days during the first week. One piece I packed and loved were these denim shorts from Shopbop. They are meant to be casual so they are baggy and super soft, making them the most comfortable denim in the world. I always like playing with looking a bit dressed up, but having that element of bringing it back to casual and easy. This was Part 1 so stay tuned for more recommendations!